The employment agreements that Juknevicius and Tulegenov had provided that they could not work for a competing company that worked on the same project as Tower for a period of six months after their employment ended. The agreement also prevented the employees from soliciting Tower’s employees, and from disclosing confidential information to a competitor. Included in the agreements was an arbitration clause. Tower sued TSC and its former employees in federal court in Illinois, alleging breach of the non-compete, non-solicitation, and non-disclosure agreements, as well as tortious interference with its contractual relationships and constructive fraud. The defendants filed a motion to dismiss, arguing that they did not have sufficient contacts with Illinois to warrant personal jurisdiction, and that Tower failed to state a claim for breach of contract because the provisions in the agreements were not supported by sufficient consideration, and were therefore unenforceable. The defendants also argued that Tower failed to identify the specific trade secrets that were misappropriated. The district court agreed with the defendants. The court found that even though the employees were under contracts governed by Illinois law with an Illinois company, Tower had failed to show that the employees purposefully availed themselves of the privilege of conducting business in Illinois. The court pointed out that neither of the employees had lived in Illinois for many years, and that the project that they worked on took place in North and South Carolina. Tower argued that the court had jurisdiction because the employees and TSC committed deliberate torts that they knew would cause injury in Illinois. The court stated that the fact that Tower was an Illinois company was insufficient to demonstrate minimum contacts between the defendants and the state of Illinois. The court stated that all of the alleged conduct occurred outside of Illinois and harmed Tower’s projects that were also located outside of Illinois. The court then found that it also lacked personal jurisdiction over TSC. The court stated that Tower had made many of the same arguments in support of jurisdiction over TSC that it had made in support of jurisdiction over the employees, and that those arguments had already been proven inadequate. The court further stated that there was insufficient evidence to establish that TSC had contacts with Illinois. The court stated that TSC’s contacts with Illinois were negligible compared to TSC’s overall business and that the contacts were not directly related to TSC’s allegedly illegal conduct. Finally, the court stated that because it dismissed the complaint for want of jurisdiction, it would not reach the merits. You can view the entire opinion here. Super Lawyers named Illinois commercial law trial attorney Peter Lubin a Super Lawyer and Illinois business dispute attorney Patrick Austermuehle a Rising Star in the Categories of Class Action, Business Litigation, and Consumer Rights Litigation. 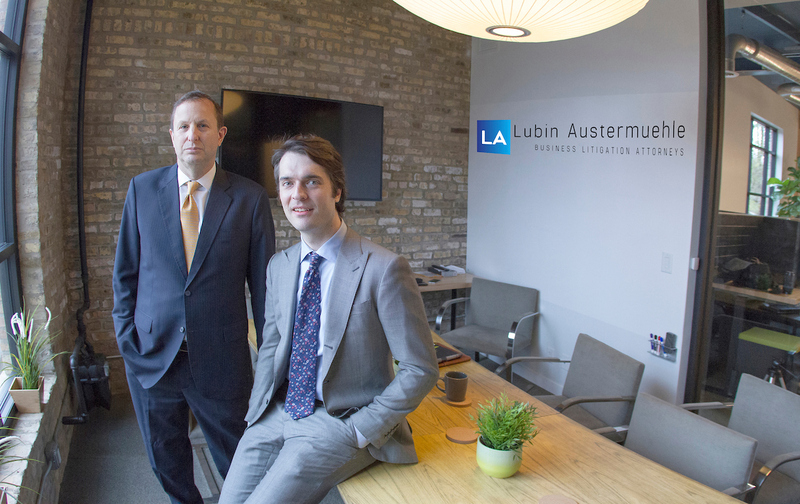 Lubin Austermuehle’s Illinois business trial lawyers have over thirty years of experience in litigating complex class action, copyright, noncompete agreement, trademark and libel suits, consumer rights and many different types of business and commercial litigation disputes. Our Naperville and Aurora business dispute lawyers, civil litigation lawyers and copyright attorneys handle emergency business lawsuits involving copyrights, trademarks, injunctions, and TROS, covenant not to compete, franchise, distributor and dealer wrongful termination and trade secret lawsuits and many different kinds of business disputes involving shareholders, partnerships, closely held businesses and employee breaches of fiduciary duty. We also assist Chicago and Oak Brook area businesses and business owners who are victims of fraud. You can contact us by calling (630) 333-0333 or our toll-free number (833) 306-4933. You can also contact us online here.